Mommy Living the Life of Riley! 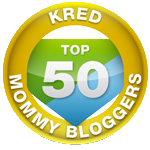 began in February 2010 as a blog which would give readers links to contest information, current giveaways on the internet, and family-friendly product reviews. This blog also came into existence in order to promote my own invention, called Toothpaste 2 Go. Often, I try to give something useful to my readers, such as a favorite recipe or funny anecdote to get them through their day. The response that I've received so far has been very encouraging and I find that my blog followers, subscribers, Facebook and Twitter fans increase daily! For more information on my daily and monthly stats, please see my Media Kit for PR page. Speaking as a knowledgeable consumer who loves product giveaways as well as reading personal reviews before I make a purchase, I believe that a product review/giveaway is the best marketing strategy a company can use. Of course a sponsor may choose to do either a giveaway or a review, too. I would be happy to discuss any and all options with you so that I can tailor a successful marketing approach to your specific product. I am also extremely PR friendly and more than happy to post any press release or web link that you'd like in conjunction with your giveaway and/or review. Electronics and technology of every category, including computer hardware, software, home audio/video, cell phones, video gaming, etc. Fitness products of all kinds, including sports gear, clothing, supplements, etc. Learning and teaching related products for children of all ages. 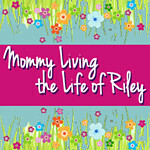 All reviews conducted by Mommy Living the Life of Riley! are TOTALLY FREE! A sample product is required though, for all reviews and will not be returned because it is what will be used to write a thoughtful, honest, unbiased review of your product. I will not be responsible for any shipping or duty costs to have your product featured here. Please allow at least 4-5 weeks for your review to be posted. Links to your website are included in all reviews and giveaways, as well as any specific keywords that you'd like to use for SEO purposes. If you want your review or giveaway posted on a certain date, I will work with you to try and accommodate your request. 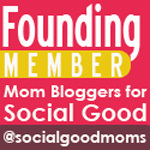 Once your review is posted, I will email you a link to the live post. Giveaways are COMPLETELY FREE OF CHARGE if coupled with a product review. I also host giveaways without product reviews for a nominal **$30 fee. Your giveaway will be posted within one week of receiving payment and giveaways usually conclude at the end of a two week period. This time period can be extended upon request. Please remember, that I am NOT responsible for shipping the prize(s) to the winner(s), so please do not ship the giveaway prize along with the review product. **The $30 fee includes my time spent writing the post, hosting your giveaway and moderating comments. I also ensure the validity of each entry and advertise your giveaway via various blogs, sweepstakes sites and my own social media channels. Finally, this fee covers my time spent selecting and contacting the winner, obtaining their contact information and passing that on to you. I post to and review my blog site several times per day. I promise to deliver my complete and accurate review in a quick and timely manner. I realize that different companies have different expectations, but rest assured, that I will always meet whatever deadline is required of me. 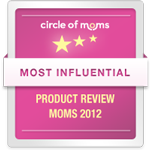 Generally, reviews will be posted within 4-5 weeks of receiving the product, unless stated otherwise. Company overviews and sponsored posts are written within 48 hours of receiving payment. REMEMBER: Giveaway prize(s) are ALWAYS sent from the company itself directly to the contest winners. I have a duty to my readers and to my own integrity to always post unbiased, relevant, fair and accurate reviews of all products sent to me. Although I greatly appreciate the generosity of any company that allows me to keep their product, my review will not be compromised in any way by this generosity. Finally, I reserve the right not to post reviews or review products that I did not specifically request or that meet my standards. I guarantee that I will always provide a fair, accurate, unbiased review of any and all products I receive. Review items should always be sent at the expense of the company and are not returned. A company may choose to forgo any giveaway or review and simply post their link, button, or advertisement on my side bar, directly below the header area, the footer region, or even in the RSS feed of my blog. 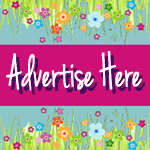 Please contact me via e-mail for more details on rates for these advertising spaces or see my Media Kit for PR page for additional information.